CALL 866-987-0941 FOR A CASH OFFER IN 20 MINUTES! Are you thinking, "I need to sell my house" or "How can I sell my house fast?" We buy homes in your area quick and all you need to do is contact us. We buy houses and flip them. You don't need to make any repairs or pay any fees. We will buy your home, land, or property fast! Need to sell your house fast but don't know the right strategy or how to do it? We buy houses in cash and can make a cash offer in 15 minutes. 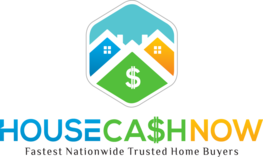 Sell your house now to HouseCashNow.com. If your thinking "I need to sell my house fast" or "how can I sell my house now", you've found the right cash buyers. We invest in real estate nationwide and want to buy your house as-is so that you don't have to make repairs. We pay the closing costs so you don't have to worry about that or paying an agent. We can close fast on your house and do title work in days. Sell your house now and move on with life. Stop your foreclosure or use the cash to help your situation. Don't let your house or property tie up your finances or make you go bankrupt. Sell your house now to qualified cash investors who fix and flip properties. We buy houses all over and in any condition. Get a FREE QUOTE NOW!